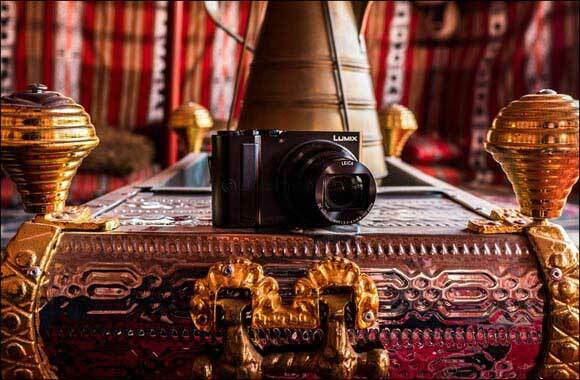 Dubai, UAE, August 07, 2018: Panasonic is proud to introduce the latest flagship model of the popular 'Travel Zoom' TZ Series the LUMIX DMC-TZ220. Enhancing its zoom power to 15x, the LUMIX TZ220 with 1-inch large High Sensitivity MOS Sensor offers more versatile uses and high picture quality, including ultra-high resolution 4K video. The LUMIX TZ220 features new 24mm ultra-wide angle LEICA DC VARIO-ELMAR lens with powerful 15x optical zoom (35mm camera equivalent: 24-360mm) and 5-Axis HYBRID O.I.S.+ (Optical Image Stabilizer Plus) to provide a versatile angle of view while suppressing hand-shake in both photo and video recording. It also enables stunning macro shots as close as 3cm. For even more creative photography, this breakthrough camera integrates a new L.Monochrome mode in Photo Style, to create an impressive monochrome image with rich gradation like that of black-and-white film. Built with a large High Sensitivity MOS Sensor with 20.1-megapixel high resolution, the camera allows for improved S/N ratio, resulting in dramatic reduction of noise even in shooting at ISO 12800. The image processor Venus Engine with quad-core CPU enables high speed signal processing required for rich video recording such as 4K. The advanced Multi-process NR (Noise Reduction) applies effective noise reduction and detail processing according to each component frequency. Plus, Random Filter granulates chromatic noise to be blended into the image even more naturally. Taking advantage of these fine-tuning capability, LUMIX TZ220 enables users to choose a preset of contrast, sharpness, saturation and noise reduction as they like according to the shooting subject in Photo Style. An upgraded Live View Finder (LVF) integrates a new 0.21-in. 2,330K-dot equivalent LVF to provide a high magnification ratio of approximately 1.45x/0.53x (35mm camera equivalent). Both LVF and a 3.0-inch rear monitor touchscreen display provide approximately 100% field of view. The independent dials and Control Ring located on the lens barrel provide an intuitive way to capture creative vision. Smoother control of exposure and zoom allows users to concentrate on framing the perfect picture and press the shutter at the perfect moment. It also provides easier access to frequently-used settings such as aperture, shutter speed, focus, filter effect and scene mode. For even more precise control over focusing, the LUMIX TZ220 also boasts a Focus Peaking function that shows the peak of focus in manual focus mode to ensure users know exactly where the focus is. The 4K PHOTO feature of the camera allows you to capture the perfect moment by selecting a frame from a 4K video (sequence of 30 fps) in camera and saving it as an individual high-resolution image next to the 4K video sequence. Three exclusive functions are integrated to make the 4K photography even easier: 4K Burst Shooting, 4K Burst (Start/Stop) and 4K Pre-burst. Auto Marking and Sequence Composition, included in addition to Post Focus and Focus Stacking, make 4K PHOTO even easier to use. A Contrast AF System features DFD (Depth From Defocus) technology and excels in both speed and accuracy for ultra-fast auto focusing in approximately 0.1 sec. The LUMIX TZ220 boasts high speed burst shooting at 10 fps (AFS) / 6 fps (AFC) to capture fast moving subject just in-focus. With the LUMIX TZ220, 4K video recording is every bit as stunning with high-resolution QFHD 4K video in 3840x2160 at 30p or 24p in MP4. The camera’s 4K Live Cropping also provides flexible cropping to create smooth, slow zooms or stable pans, outputting Full HD picture quality in the final footage. Bluetooth 4.2 and Wi-Fi 2.4GHz (IEEE802.11b/g/n) for a more flexible shooting experience and instant image sharing with easy operation. Long battery life and AC/USB Power Charging - thanks to a newly adopted eco30fps mode, the LUMIX ZS200 provides long battery life for approx. 370 pictures (when using a rear monitor) per charge. The battery is recharged via AC or USB according to user convenience. Exposure / WB / Focus / Aperture Bracket - In Focus Bracket, max.999 images can be shot with different focus points. The Aperture Bracket lets users have multiple shots with different depth of field. RAW data development in Camera – allows shooting images in RAW and develop them in camera.